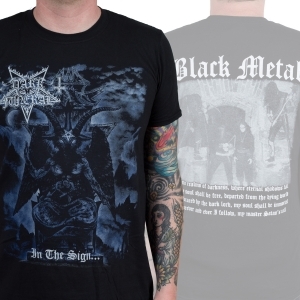 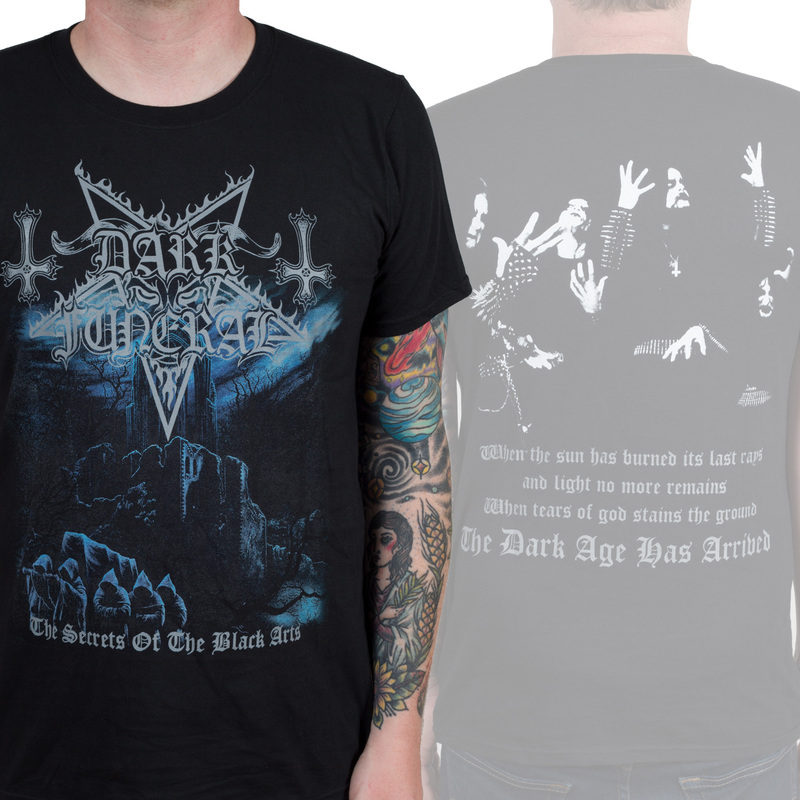 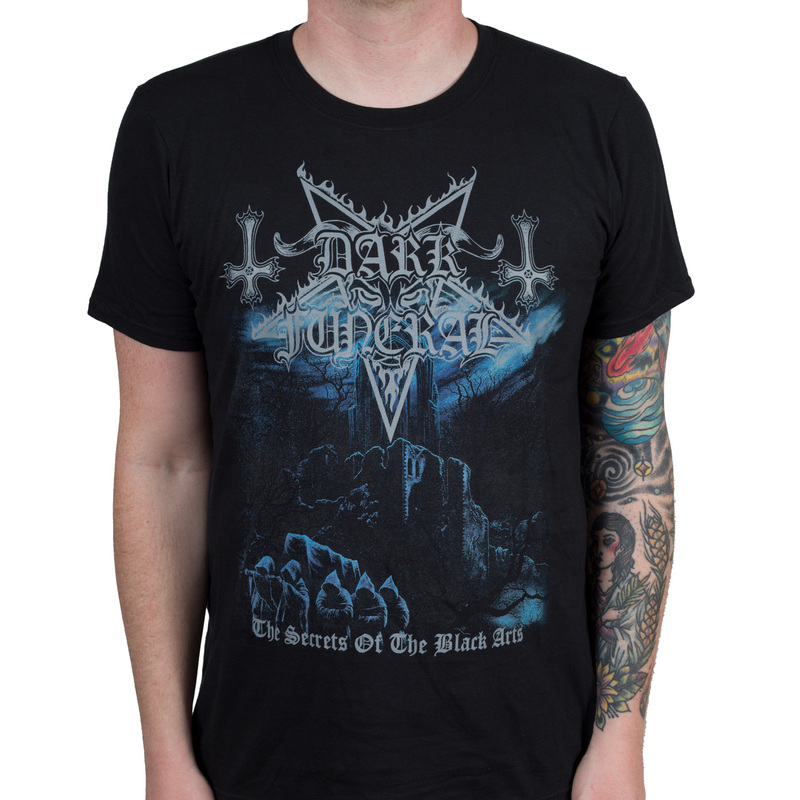 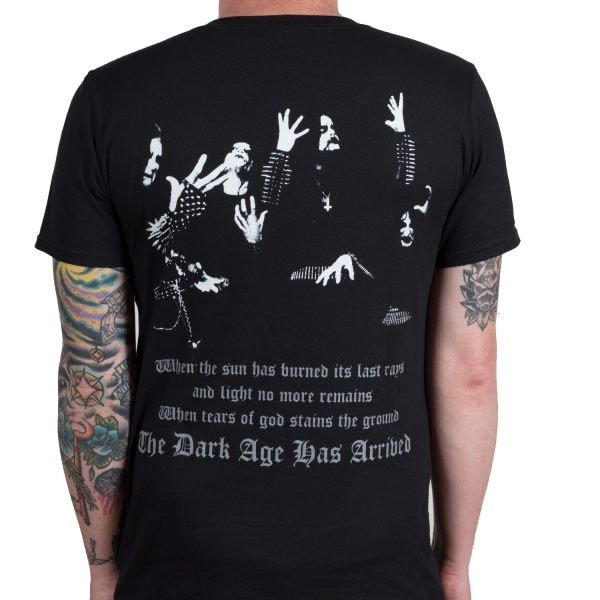 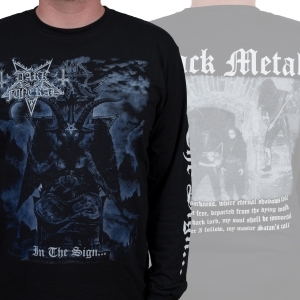 Dark Funeral two sided "The Secrets Of The Black Arts" shirt. 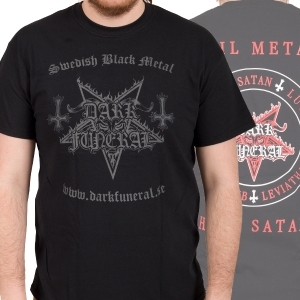 Features the album cover of the same name and the band on the back. 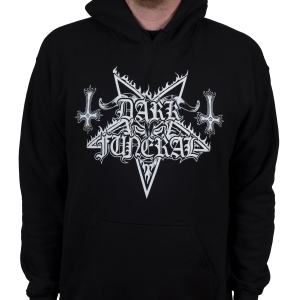 Dark Funeral rules.